Sarah holds a Bachelor’s degree in Accounting from the University of Southern California, and an MBA from the University of Florida. Her love for Pilates began in Los Angeles when a sports injury led her to Pilates-based physical therapy. From then she was hooked, and found herself seeking Pilates in each city she lived and in every stage of her life. Even though Sarah has always complemented her practice with other forms of exercise, Pilates has been a constant. She is fascinated with the progressive nature of the Pilates method and its ability to challenge and transform one’s physical strength and flexibility at any age or fitness level. 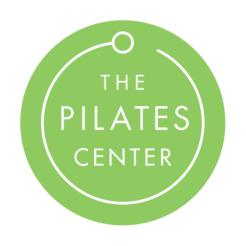 Furthermore, she appreciates Pilates’ intricate application of human anatomy and movement, offering injury prevention and rehabilitation to a whole body and mind practice. Sarah took the next step in developing and growing her knowledge of Pilates by completing the BASI Comprehensive Teacher Training Course. She continues to work in finance while finishing her 500-hour requirement for certification. Sarah is very excited to share her passion for Pilates with others. She strives to continually improve as a teacher by always seeking opportunities for advanced education.